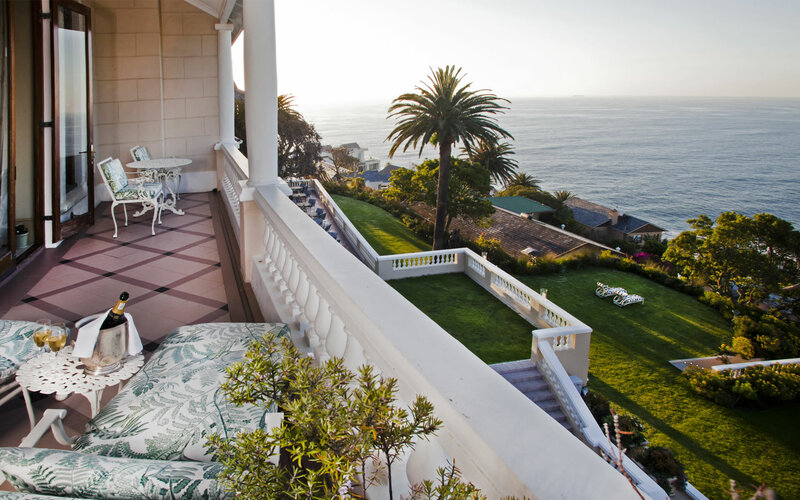 Built in 1906, Ellerman House was the very first house in Bantry Bay and thus holds prime position on the mountainside. The entrance is deceptively small… but don’t let this fool you, once inside, the sheer size and volume of this exquisite estate will no doubt take your breath away. Surrounded by rich wooden panelling, soft lush carpets, spectacular lighting and bursting with incredible local masterpieces the interior has all the trappings of the definitive luxury. The hotel opened its doors in 1992 and since then its intrepid leader Paul Harris has cultivated deep within it, two passions that are dear to his heart – his incredible art and wine collections. 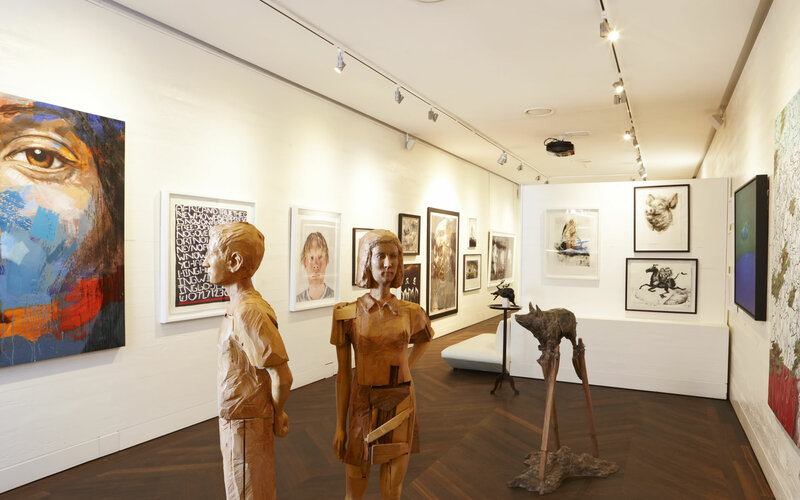 In fact, it is the incredible art collection at Ellerman House that truly sets this exemplary hotel apart from the many others on the Cape’s shores. On entrance, as is tradition, you are welcomed by a host of portrait shots, by illustrious local artists such as Irma Stern and Pieter van de Westhuizen. The portraits welcome you warmly and lead you down the stairs into the heart of the manor house. All art is proudly South African and some of it dates back as far as the 1800’s. Don’t miss out on the incredible Bowler passage; a tribute to his flair with watercolour and attention to detail; the entire corridor is flanked by an astounding collection of Thomas Bowler masterpieces. From Bushman paintings to the Dutch beginnings of Cape settlement, you will be taken on a journey from heritage to modern day South Africa. The art in the house alone is endless and you will need time to stop and really take in each exquisite piece. But there’s more…the more modern art is to be found in the hotel’s very own Contemporary Art Gallery. Paul Harris realised he needed somewhere to house his ever-growing collections and thus built his very own secluded gallery. Inside, a magical experience awaits. The Lionel Smith “Scattered Stare” will no doubt catch your attention as the bright bursting colours of acrylic on canvas are a wonder to behold. Gavin Rain’s “Steve Biko” and William Kentridge’s “What Will Come” are pieces that will dazzle you. Our favourite however is “The Cloud Sketches” by John Moore, a lino cut masterpiece that you could literally stare at for hours. The second but by no means the lesser of Paul Harris’s loves is showcased in his out-of-this-world Wine Gallery. Have a seat and behold the incredible Terroir Wall. 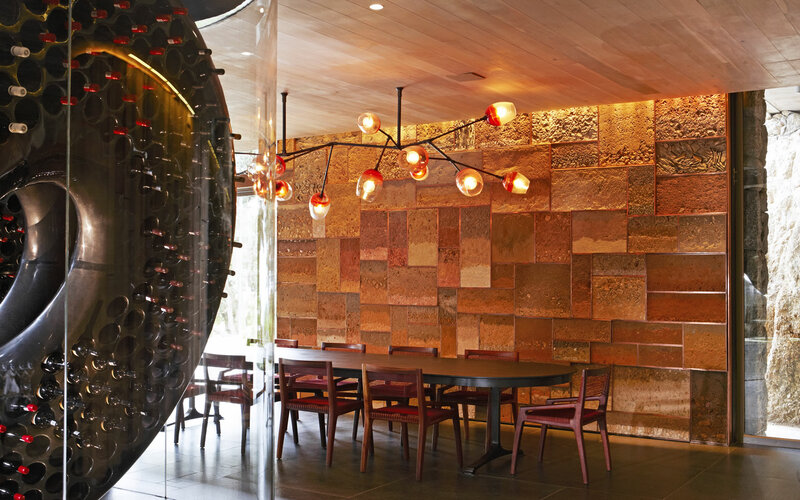 A wall built of copper boxes filled with specific soils from innumerate Cape wine farms, assembled to form an educated map of the Cape Wineland’s Terroir. Behind you the creative corkscrew wine vessel… made of carbon fibre and holding 1500 bottles of Africa’s best wines in a temperature controlled room, ensures that your wine gets to your table at its idyllic drinking conditions. For Champagne lovers, downstairs will be your paradise… an entire cellar of Dom Perignon guarantees that no matter how great a time you are having – Ellerman House will not run out! 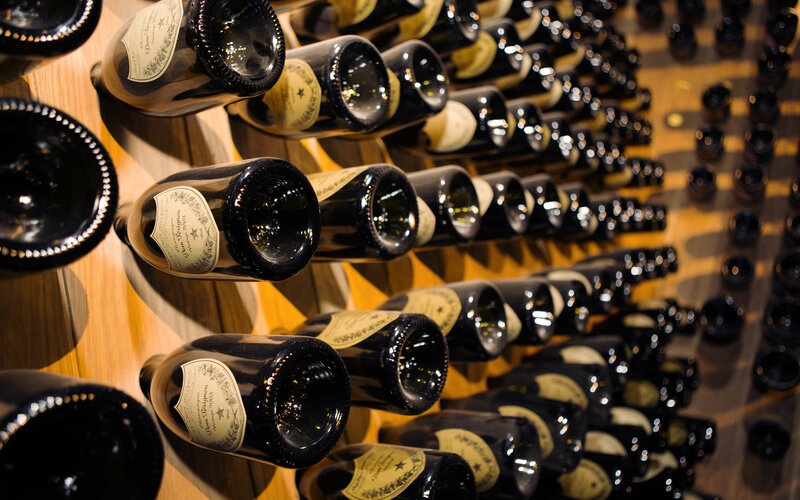 The Champagne cellar has a terroir wall too, flown out from the Champagne Region itself, a gift to Paul Harris. The hotel itself is the pinnacle of indulgence. The beautiful rolling grass terraces of which there are 3 will provide the best position to relax with a cocktail and take in the breath-taking African sun set over the sea or watch the whales coming into the bay. Whether it’s a light lunch by the sky-blue pool, an afternoon snack from the pantry packed with treats or a 3 course culinary extravagance you will no doubt be blown away. 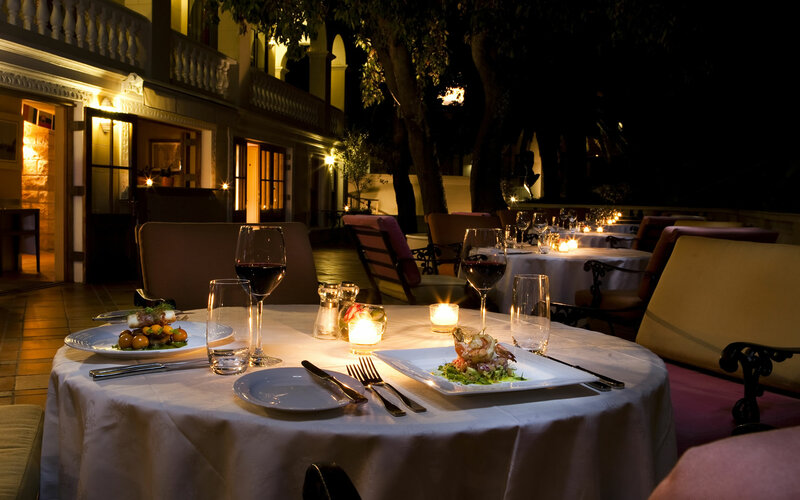 The hotel has a synchronicity and seamlessness like no other as it enables guests to walk into the kitchen and chat to the staff about their meals, enabling only the best hospitality. Last but certainly not least the rooms themselves guarantee luxury at its highest and with eleven rooms, two suites and two 3-bedroom villas there is something for everyone. 10 minutes from the Victoria & Alfred Waterfront and 2 minutes from sensational Camps Bay, Ellerman House is the perfect base from which to experience the beauty that is Cape Town. Ellerman House is for those seeking the most supreme heights in luxury – for wine lovers and art aficionados alike, for those accustomed to only the best. Why not add on an incredible visit to the Cape Winelands or a once in a lifetime safari experience. At our exclusive rates these incredible encounters and many more are at your fingertips. Contact Iconic Africa to tailor make your bespoke African Adventure. Supreme luxury – for those accustomed to only the best. Exquisitely located on the side of Signal Hill. Home to a world-class art gallery and a wine collection like no other. 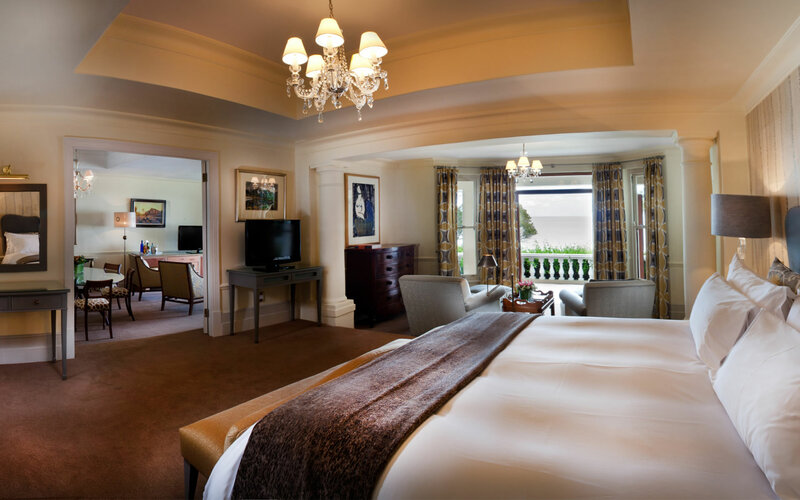 Ellerman House is for those connoisseurs accustomed to only the greatest in luxury, art, wine and hospitality. No detail is left to chance as the Harris family showcase their greatest passions to the privileged few who discover this Cape jewel. To experience this Cape sensation simply contact one of our African travel experts and begin your journey to Africa with us now! In Conde Nast Readers’ Choice Awards 2014, Londolozi was named the best hotel in the world! A global honour of colossal proportions. Londolozi effortlessly exceeds all expectations on a luxury, hospitality, wilderness and experiential front – However when anyone who knows Londolozi well, is tasked with describing this African wonder they are immediately confronted by the difficulty of portraying the intangible. It is this indiscernible x factor which sets Londolozi aside from the rest!